CrossTalk allows Delphi code to call and use .NET code. 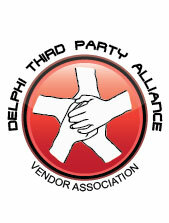 However if you want to use Delphi code in something like ASP.NET, you cannot becuase ASP.NET is the “host”, and CrossTalk required a Delphi process to be the host. We have now resolved this issue, and CrossTalk now supports Delphi DLLsbeing hosted by .NET processes such as ASP.NET, and then the Delphicode can then in turn use classes from the .NET host, or other .NETobjects.